It is with deep sadness that we announce that M. Joan Dawson, Ph.D. passed away on Thursday, July 27, 2017 in Bellaire, Michigan. Dr. Dawson graduated from Columbia University with a BS in Biology in 1969 and from the University of Pennsylvania with a PhD in Pharmacology in 1972. Following post-doctoral studies at Columbia University and University College London (UCL), she joined the UCL faculty in 1978. In 1985, Dr. Dawson and her husband, Paul Lauterbur, were recruited to the University of Illinois College of Medicine at Urbana-Champaign, where they established and built the Biomedical Magnetic Resonance Laboratory (BMRL). Dr. Dawson was an Associate Professor in the Department of Molecular and Integrative Physiology and served as BMRL’s Associate Director. She retired in 2008, after which she was honored with the position of Professor Emerita of Molecular and Integrative Physiology. Dr. Dawson was a respected member of the biomedical NMR community, helping to pioneer the use of NMR to study the linkage between metabolism and function in living systems. Working with Douglas Wilkie, FRS and David Gadian at UCL, she performed seminal studies using 31P NMR spectroscopy to study muscle metabolism, advancing novel hypotheses concerning the metabolic basis of skeletal muscle fatigue. She also collaborated on the first magnetization transfer studies of skeletal muscle, the first localized spectroscopy studies in humans, and the first use of 31P NMR to study the neonatal brain. Following her appointment to the faculty at the University of Illinois, she continued to advance the understanding of the associations between metabolism and function in skeletal muscle, as well as other cell and organ systems. These included the retina, brain, uterus, placenta, and erythrocytes. Through these efforts, she played a key role in developing NMR spectroscopy as a tool for studying basic and translational physiology. “Joan’s work on muscle metabolism was clearly some of the most innovative and sophisticated use of NMR to study intact tissues. Joan’s papers were inspiring and I had the good fortune to meet her at meetings and learn from her very careful and critical approach. Without question, Joan was a pioneer in the early use of NMR to study intact tissues, which led to the explosion in the use of this technology in the form of MRI,” said Michael Weiner, MD, Professor of Radiology and Biomedical Imaging, Medicine, Psychiatry, and Neurology at the University of California, San Francisco. As a scientist, Dr. Dawson excelled in her ability to synthesize the fundamental principles of physiology, biophysics, and NMR into the design and interpretation of meaningful experiments. She was an outstanding scientific writer, emphasizing economy of expression, the application of logic, and use of precise language in both her own writing and that of her students. She also advocated for educational outreach, obtaining federal funding to support science education outreach programs for children in the Boys and Girls Club and public and private schools of Champaign-Urbana, Illinois. Together, she and Paul Lauterbur created a unique, intellectually stimulating, and inclusive research environment at the BMRL. They brought together students and scientists from a wide range of backgrounds, long before this became common practice. Dr. Dawson’s love of science was only surpassed by her devotion to her family, students, and colleagues. She encouraged them to thrive both scientifically and personally. Above all, she and Paul created a familial atmosphere in which everyone felt at home. All of the members of the BMRL were welcome at their home each year at Thanksgiving and on Boxing Day. 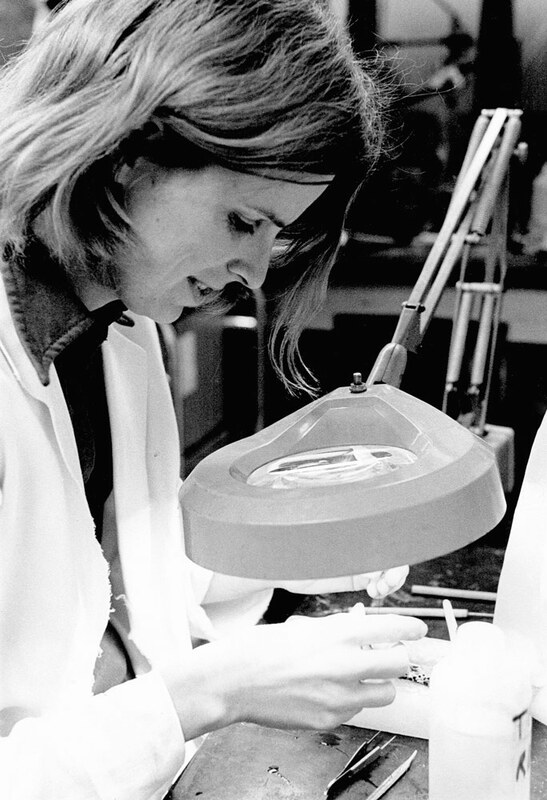 In addition to her family, Dr. Dawson leaves behind a legacy of colleagues and former trainees who continue to use the techniques that she helped advance, in their own research.